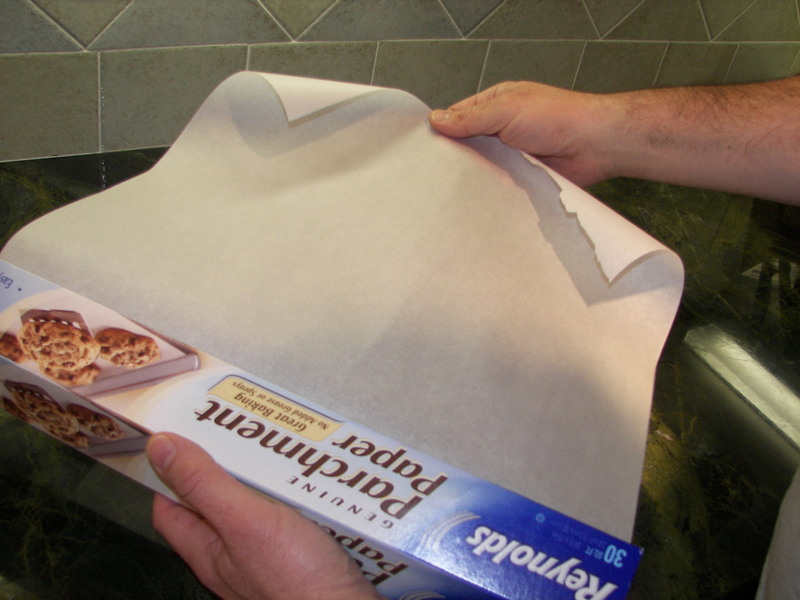 A parchment paper lid is simply a piece of parchment paper cut to fit inside a pot. 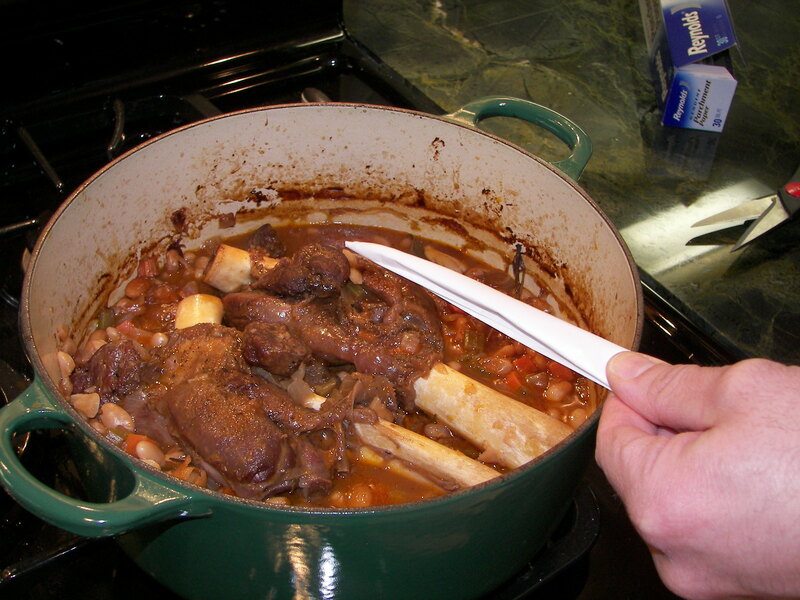 Its primary function allows liquid to evaporate from the sides of the pot while keeping the main ingredients moist. It can also be used as a makeshift cover or as a means of preventing skins from forming on the surface of thickened liquids. 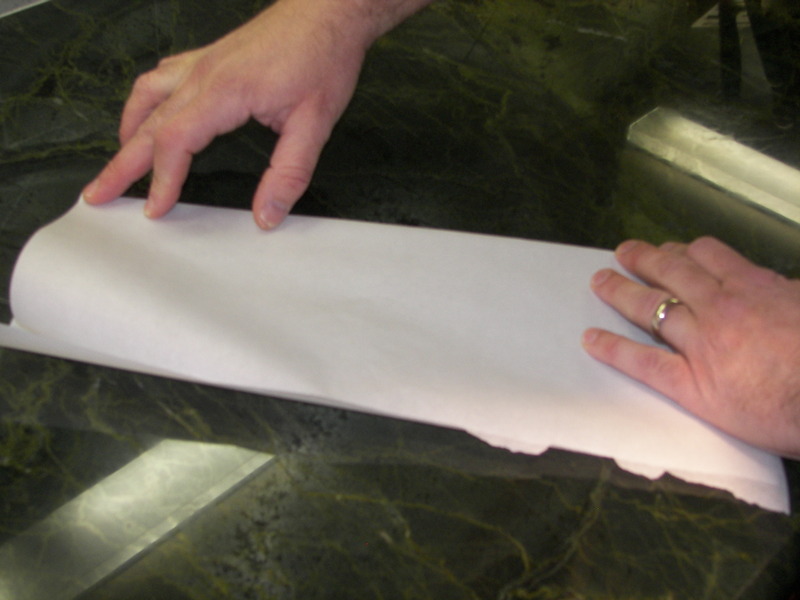 To create a parchment paper lid, first tear a portion of parchment paper from the roll. The piece should be larger than the diameter of the appropriate pot. 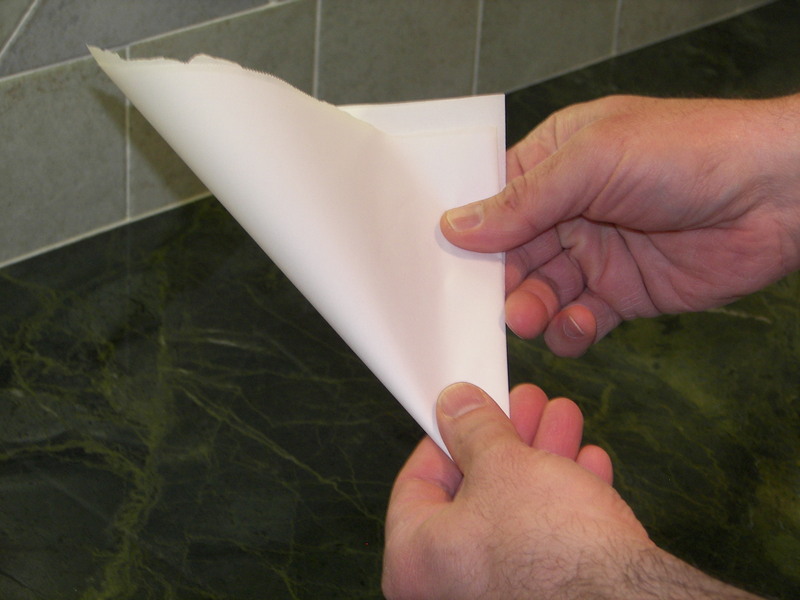 Begin by folding the paper in half. Then fold in half again. Continue folding until it is becomes a narrow strip of paper. Hold the strip of paper between your thumb and fore finger. Lay it across the top edge of the pot. Your thumb should be resting on the top edge, and your forefinger should be touching the side. The tip of paper should align with the center of the pot when you look down into it. Cut the paper strip just above your thumb and fore finger. 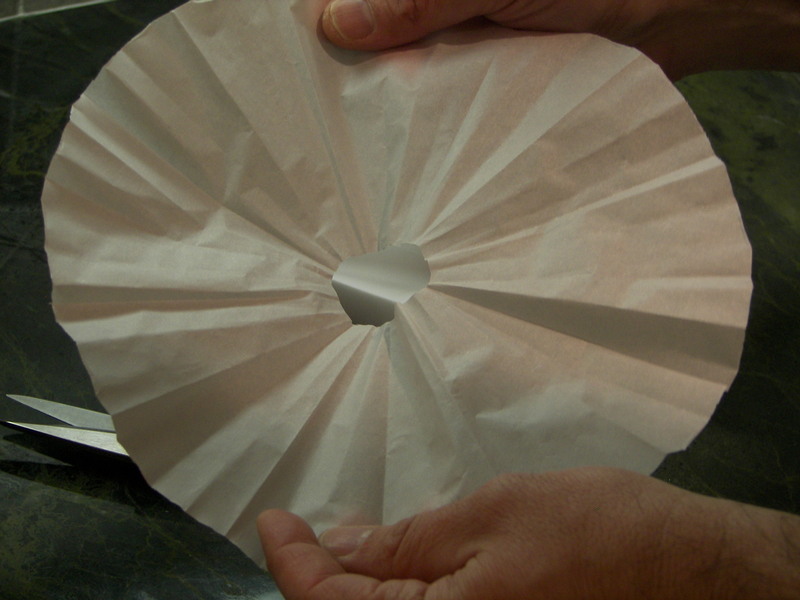 The paper should unfold to a perfect circle and fit comfortably inside the pan. If it is too large, refold paper and cut a bit more off the back edge. 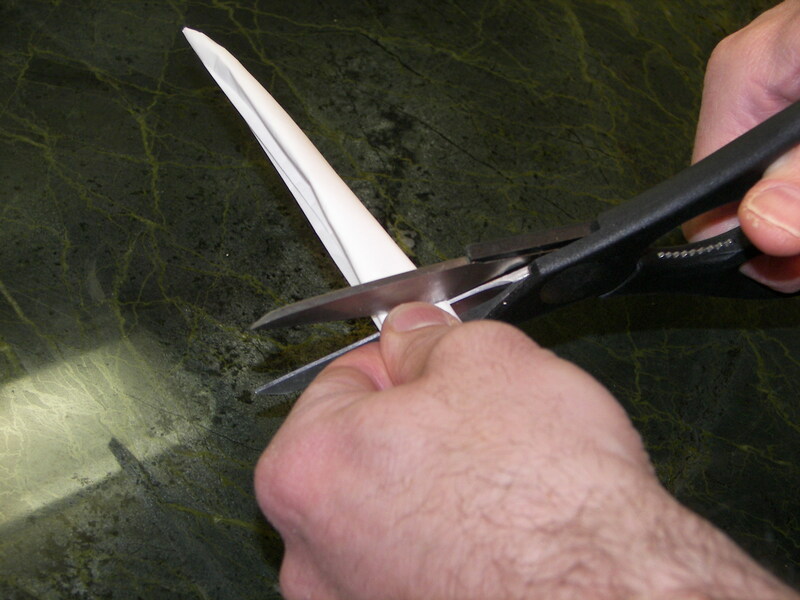 If greater evaporation is required, cut the tip off when still folded. This will create an opening in the middle. I use parchment paper a lot. Never thought to use it as a lid. Great tip, thanks for sharing.